The only name you need to know for residential and commercial cooling, heating, and electrical solutions. The Tongate family has been calling Brown County home for over 120 years. And Tongate Services has been proudly serving our friends and neighbors in Bangs, Early, Brownwood, and the surrounding areas since October 2001. 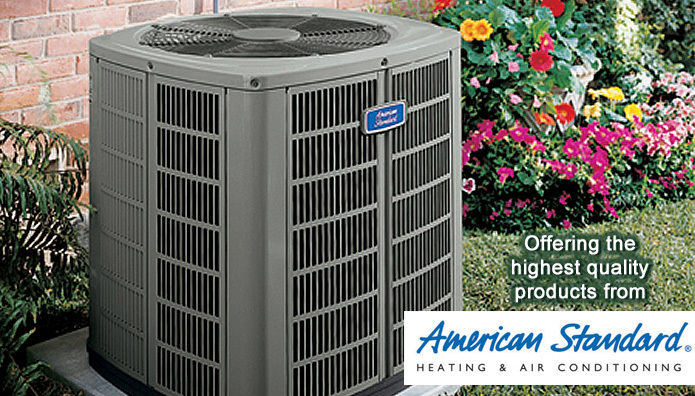 We are pleased to feature American Standard heating and air conditioning systems, which offer the highest level of comfort at the lowest possible cost of operation. These systems and products are praised by consumer publications and meet or exceed government standards for efficiency. Count on our professionalism, integrity, experience and benefit from the convenience of entrusting all of your indoor comfort needs to one expert source.. Tongate Services. Call us today. I have known Warren for over 30 years. When I moved back and decided to build a new business in Brownwood, the choice for an electrician and air conditioning specialist was an easy one to make. Warren and his crew's workmanship speaks for itself. They did a great job in a timely manner. Warren told me he would stand behind his company's work and products, and he has done so. I highly recommend Tongate Services. I've worked with Tongate Services for the past 6 years and have found them to be very reliable, professional and fair. Their response to my needs are always immediately met and are completed in a timely manner. I would recommend him to anyone in need of heating, A/C or electrical services. In 2008, I started to build a 5000 sq. ft. spa in Brownwood Texas. I was the contractor and sub-contracted all services to the best of my ability. I knew my air conditioning was going to be a very important part of the spa and salon. I got bids from at least three different companies before I made my decision. Warren Tongate helped me get the most efficient system. The most important part was the time that Warren took to sit down with me and explain the difference in using American Standard equipment with a very high Seer rating. I was skeptical, as the cost was somewhat more than my other bids, but with Warren's help, I certainly was able to make the right decision. With all the equipment that I knew we would be running from lots of hair dryers to Saunas running all the time, I was fully expecting to have a $1,500.00 to $2,000.00 bill every month. Never has my electric bill been over $ 800.00. Even in the hot summer when we keep three thermostats running at 72 degrees or less! It is truly amazing. I have paid for the difference in the units that Warren chose for me in less than a year! I cannot praise Warren Tongate enough. He is honest, dependable and above all a fine Christian man. His service men are nothing but kind and considerate with the same moral values. He is the best! !